Today is the 25th anniversary of the founding of Saint Mary’s Monastery, Petersham, MA. In 1987, Saint Mary’s became a dependent house on Pluscarden Abbey, Scotland. Some might say that 3 men started the monastery in 1985, and they’re right to a degree. But in 1987 it was aggregated to Pluscarden in a formal way and to the Subiaco Congregation. Saint Mary’s Monastery is a small colony of Benedictine monks whose central work is the praying of the traditional Divine Office (in Latin) with a small guest house welcomes visitors. A delightful place to visit, pray and just spend time with the Lord. Glorious Cross, 61 Burban Drive, Branford, CT 06405. Sunday after Sunday in the Creed. 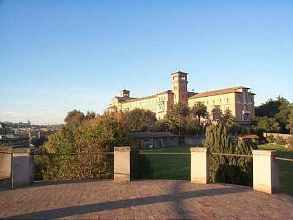 The Benedictine monks of Sant’Anselmo unveiled an impressive strategic plan for its work as an international university in Rome. Historically, the Pontifical Athenaeum Sant’Anselmo (Rome) was founded in 1687 by Pope Innocent XI and renewed and re-established by Pope Leo XIII in 1887 and given as a work to the worldwide Benedictines. The vital parts of the Strategic Plan are noted here. Looking good and abundant blessings…. lYou’re likely going to say big deal… there’s already been too much info on the 2012 Congress of Abbots on the Communio blog. Well, you’re correct. But a few statistics set a context. 13,650 Benedictine nuns and sisters represented. Father Luke MacNamara OSB, a monk of Glenstal Abbey (Ireland) oversaw the simultaneous translation work of 5 languages. The second and longtime Prior of Mount Saviour Monastery, Father Martin Thomas Boler will be laid to rest today. 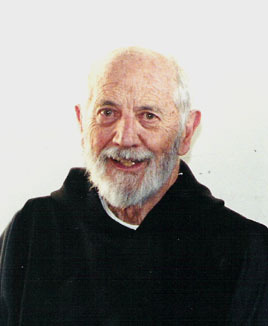 Father Martin was born in 1924. After his medical education he entered the newly formed (1951) Benedictine monastery of Mount Saviour in Elmira, New York. At a certain point in 1969 Father Damasus decided a younger man ought to lead the monastery and so he resigned. Father Martin was elected the Father Prior of the community, a diakonia he held from 1969-2008. He’d been in declining health for the last few years and reposed in the Lord on November 7. May God be merciful to Father Martin, and may his memory be eternal.